The biggest similarity between “Antipasto” and “Primavera” is the episode’s focus on a female figure, alongside the male protagonist, who should not necessarily be with her partner. In a way, both of these women are trapped. Bedelia is at Hannibal’s mercy despite her ostensible autonomy, while Abigail resides in Will’s mind palace. I was genuinely shocked at Abigail’s two twists: That she is back, and that she is a figure of Will’s imagination. While it’s a little ridiculous that she could survive yet another slashed throat, Abigail is a compelling character played wonderfully by the doe-eyed Kacey Rohl, so maybe I decided to be willfully ignorant that she would be lucky enough to survive two throat slashings by her father and her father figure. 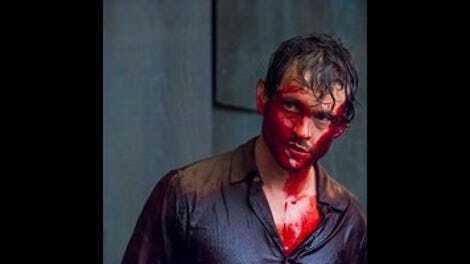 But Abigail needs to exist in Will’s mind palace because she is the part of him that is still holding onto Hannibal. 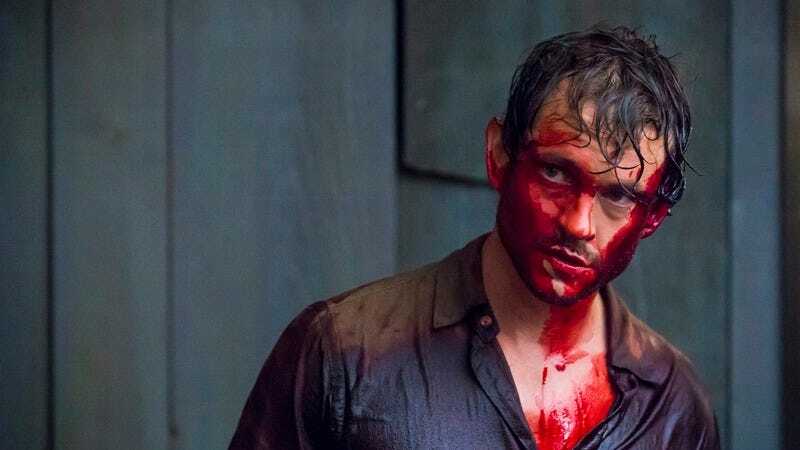 That, despite the carnage this monster has visited on Will and his friends, Will still feels compelled, to not just hunt him, but to be near him (“You don’t know what side I’m on,” Will tells Pazzi). While he needs to let that part of himself go, he can’t because of the way it manifests itself. And, in a way it will never die. The same could be said for Inspector Rinaldo Pazzi (Fortunato Cerlino of the excellent Italian mob movie Gomorrah) who thirsts for Hannibal after letting him out of his grasp decades earlier. (Sidebar: Hubba, hubba, young Mads Mikkelsen). Hannibal’s earlier crimes—that resulting in positioning the bodies like they are a part of Botticelli’s “Primavera” (here is the part Hannibal uses as inspiration up close, it is of Chloris and Zephyrus), echoing Hannibal and Bedelia’s conversation from “Antipasto”: “You no longer have ethical concerns, Hannibal. Only aesthetical ones,” she says. “Ethics become aesthetics. Morality doesn’t exist, only morale.” By the time Hannibal and Pazzi cross paths, his concern with the aesthetic-as-ethic has already an established part of his persona. The painting itself represents the budding of spring, and perhaps the budding of Hannibal himself. Chloris was a wood nymph, captured by Zephyrus, the western wind. In myth, they eventually marry. The painting itself is largely viewed as an allegory, but it explains a lot about Hannibal as well. He captures these people and eventually they become intertwined with him a way so that they becoming intrinsically linked. The visuals, of course, were stunning, but there have been few images that have equalled the body-heart-topiary. At first, I saw the image of poor Dimmond as more of a play on Da Vinci’s Vitruvian Man, as Hannibal was playing with a reproduction on the train. But the idea that it is a heart is much more powerful, especially because it is Dimmond. He had to die precisely because he is not Will (I don’t think it’s a coincidence that Tom Wisdom, who played Dimmond, and Hugh Dancy both are brunettes with high cheekbones). The catacombs, as well, were particularly beautiful, especially considering how mind palaces were worked into the episode. Rather than the image of the of the grand cathedral where thoughts are stored, instead it is Will and Hannibal, both stalking each other in their own way. Semi spoiler-y for those unfamiliar with the source material: As Will similarly predicts, things do not end well for Inspector Pazzi, who appears in Hannibal along with Mason Verger. It will be interesting to see how their stories interact in the show, especially knowing that the source material for this season is Red Dragon.